Our staff is an experienced group of professionals with rich perspective on research and tourism. Chris Cares possesses a diverse background in public and private planning and market research. A founding partner of RRC Associates, he specializes in practical applications of quantitative and qualitative research including surveys, modeling, focus group facilitation, and public outreach for problem solving in a variety of industries and settings. His research and recommendations have helped to shape both the design and marketing strategies of major resorts and other developer clients, as well as advertising campaigns, hospitality performance evaluations, and community development programs. He has coordinated the planning and public processing of numerous large resort and mixed-use projects. In addition, for over 20 years he has managed customer feedback programs and other efforts designed to improve the function and performance of organizations. Housing and real estate-related needs assessments are particular areas of specialization. Chris has an undergraduate degree from the University of Rochester and a Master’s degree from Harvard University. Dave Belin has been a senior director at RRC Associates since 2001 and is currently the Director of Consulting Services. He brings strong analytical skills and a common-sense approach to help clients understand the implications of research findings. Dave works closely with RRC’s travel and tourism clients, including DMOs, hotels, attractions, and ski resorts. His work has formed the basis of numerous strategic and marketing plans for resorts and other tourism-based clients. As the primary author of the ski industry’s NSAA Economic Analysis, Dave has an excellent understanding of the financial state of the ski resort business. He has a BA in American History from Yale University and a Master’s degree in Business Administration from the Fuqua School of Business at Duke University. 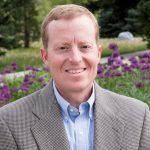 David Becher has served as the lead analyst on market research projects for a variety of clients in the skiing, tourism, and real estate industries, including authoring NSAA’s annual Demographic and Kottke (resort operations) reports for the past ten years. He has also served as the primary planner/analyst on a variety of housing, growth management, and economic assessment/impact studies, and heads up RRC’s lodging occupancy tracking research. 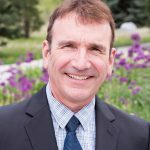 David has Master’s degrees in Urban and Regional Planning and Public Administration from University of Colorado at Denver, and an MBA from the University of Colorado at Boulder. Mike Simone has been involved in a variety of research projects to the ski, gaming and travel industries, providing timely information to policy-makers on various important issues. Examples of reports and projects include those documenting priorities for capital improvement decisions, pricing strategies, market-specific targeting, and other information relating to visitor opinions, satisfaction tracking and perceptions of product experience. Mike has also been engaged in a series of economic impact analyses measuring the effect of different special events in attracting visitors to resort vacation destinations. 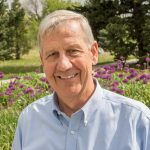 In addition, Mike has developed a niche in implementing parks, recreation, and open space needs assessment studies for towns and communities, the results of which typically become incorporated into the long-range goal of developing master plans. Mike has B.S. and M.S. degrees in Geography from Oklahoma State University. 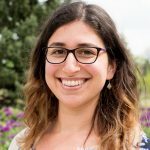 Sarah Esralew Hutson is based in Bend, Oregon, where she spearheads RRC’s new Oregon office and is enthusiastic about expanding RRC’s presence in the west. With nearly a decade of experience in survey research, Sarah is passionate about using customer insights to inform decision-making among both public and private sector clients across a wide variety of industries. 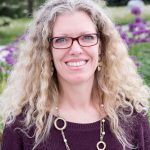 Sarah works closely with RRC’s parks and recreation, snowsports, marketing, and tourism clients. Previously, Sarah has conducted energy and political research. She is well-versed in applying both quantitative and qualitative research approaches to support a wide variety of projects including needs assessments, strategic planning, customer satisfaction, economic impact, benchmarking, market segmentation, and special events research. Sarah has a strong social science background, holding an MA in Communication from The Ohio State University and a BA in Communication from the University of Delaware. In her free time, Sarah loves to travel, hike, ski, and camp. 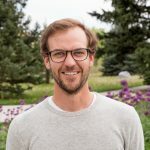 Jake Jorgenson has over a decade of experience in visitor research specifically revolving around parks and public land, outdoor recreation, community perceptions and tourism. 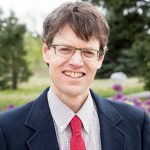 Since joining RRC, he has served as the lead analyst on park and recreation needs assessments/master plan surveys, community expectations projects, and tourism and recreation analyses. Jake has extensive expertise in visitor behaviors, travel and recreation experiences, expectations, and nature-based tourism. Jake holds a Ph.D. in Forestry and Conservation Science from the University of Montana, a M.S. in Recreation Management from the University of Montana, and a B.S. in Recreation and Tourism Studies from the University of North Dakota. 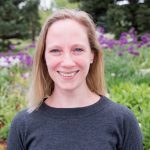 Lot Geels joined RRC Associates in June 2014, after moving to Boulder, CO from the Netherlands. She has extensive experience in research, statistical methods, and data management. Lot excels in working with highly complex datasets, optimizing data processes, and developing new analysis and reporting tools to help inform clients in their marketing efforts. She is the primary analyst for the NSAA Kottke End of Season Study, the Beginner Conversion Study, National Demographic Study, and numerous other important research projects at RRC. She holds a Master’s degree in Psychology from the University of Amsterdam and a PhD in Behavior Genetics from the VU University Amsterdam. Ethan Adams has experience in conducting research with non-profit and educational institutions, as well as working with clients to conduct personalized social research, such as program evaluations, employee/customer satisfaction studies, and institutional needs assessments. 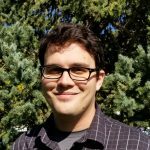 Specifically, Ethan’s research with non-profit organizations has helped to inform the development of vital partnerships and communication channels between homeless service providers in Colorado communities. 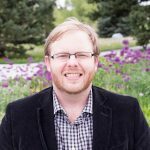 Ethan holds a Master of Arts degree in Sociology from the University of Northern Colorado and specializes in research on social networks and human relationships. Ethan joined RRC Associates in September 2018 as a Data Analyst and uses his skills and knowledge to develop and analyze surveys for our clients. Sue Rothchild is responsible for fielding interviewers for RRC’s in-person research projects. These responsibilities include the hiring, training, scheduling and managing of the research interviewers, as well as being the liaison between interviewers (with their timely in-the-field observations) and project managers. Sue also uses her background in technical writing and editing to give feedback to the survey creation process. 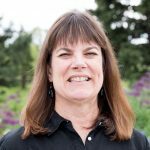 In addition, Sue is the focus center manager and handles the details of putting together focus group studies (including recruiting, site selection, hosting, and assessing the client’s needs). 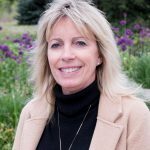 Sue truly enjoys working with RRC staff and clients to deliver insightful research results that exceed our clients’ expectations. Sue has a B.A. in Journalism/English from the University of Massachusetts, Amherst, MA. 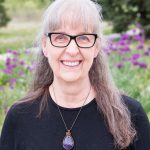 In her free time, Sue loves hiking; social and ballroom dancing; singing; and attending music, arts and community events.